Some very sad news has hit the animation world today. Stephen (or Steve) Hillenburg, the creator of SpongeBob Squarepants had died at the age of 57. He had announced back in March 2017 that he was suffering from ALS (aka Motor Neuron disease). 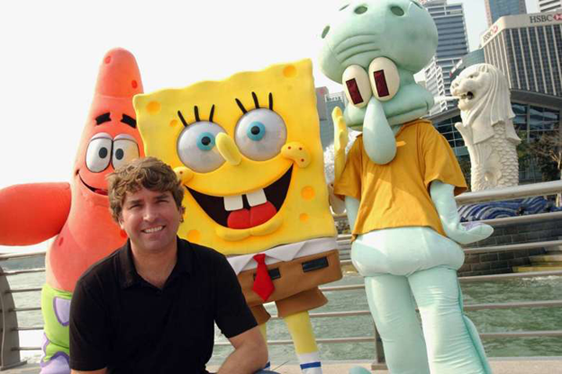 Hillenburg trained in marine biology, an area of expertise that he would later combine with an interest in animation in his most famous creation. After breaking through with an award-winning short Wormholes in 1992, he went on to cut his teeth as a writer and director on Joe Murray's series Rocko's Modern Life. SpongeBob aired on Nickelodeon for the first time in 1999. Since then it has aired close to 250 episodes and spun off two theatrical movies, with a third due for release in 2020. To this day the series is hugely popular with audiences new and old. The series has also been nominated for (and won) numerous awards. It has also been a big influence on the TV animation scene for close to the last two decades, and it's safe to say that the medium would not have been the same without him. Hillenburg was much respected and loved in the industry, and earlier this year he was awarded the Winsor McCay Award at the Annie Awards in recognition for his life's work. Thanks for everything, Steve- your legacy is assured. Our thoughts are with his family and friends at this sad time.